Dr. Wilkinson’s is an all in one spa resort. In the heart of Calistoga’s historic district, you’ll find the place to pamper yourself in every possible way, naturally and healthfully. At Dr. Wilkinson’s you’ll find hot mineral pools, mud baths, skin treatments and relaxing massages to indulge in before sleeping the night away in their beautiful facilities. Dr. Wilkinson’s is a non-smoking facility open to the general public with reservations. Experience “The Works” at Dr. Wilkinson’s Hot Springs Resort. Slip into a mud bath to cleanse the body, relax the soul in their hot mineral bath, then move onto the mineral steam room, blanket wrap and massage. While you’re visiting, also take a swim in the outdoor mineral pool, soak up some sun, try a purifying facial, tantalize your taste buds with delectable food or take a wine tour. There is a bit of something for everyone who wishes to pamper ones self and rejuvenate from within. Dr. Wilkinson’s offers group rates, packages and conference rooms for up to 20. From Bungalows to the Superior King to a classic Victorian house, Dr. Wilsinson’s offers 42 accommodation options. Recently renewed, elegantly decorated and luxurious amenities await those who stay. Wi-fi is available in the lobby. Weekly and group rates are available. Be sure to check out the various packages offered as well. 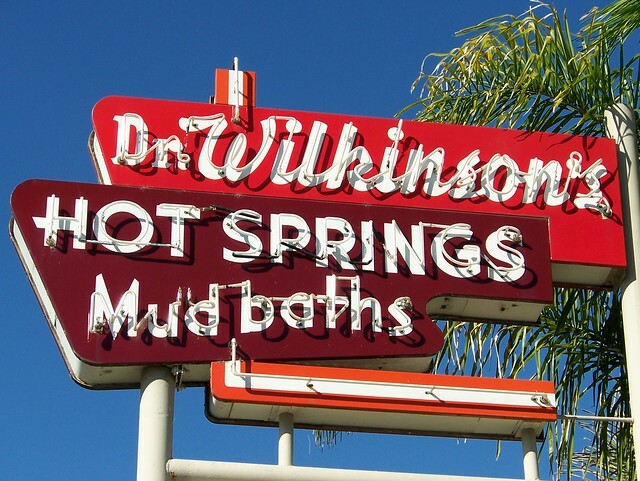 Most of all, relax and enjoy your visit to Dr. Wilkinson’s Hot Springs Resort. From Sacramento take Highway 80 towards San Fransisco to Highway 12 West. Take Highway 12 West to Highway 29 North to Calistoga. As you reach the intersection in Calistoga of the Shell and Union 76 fuel stations, turn onto Lincoln Avenue. Travel a mere 5 blocks and you’ll find Dr. Wilkinson’s Hot Springs Resort on your left!